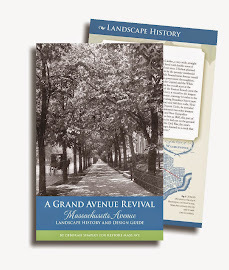 ABOUT US: Restore Mass Ave is an alliance of residents, foreign missions, arborists and non-profit groups working to rebuild the tree canopy and historic landscape that made Massachusetts Avenue a world attraction in the early 20th century. Through outreach and education we attract participation by owners of property, one third of whom are foreign missions. We spread the teaching of experts to those in community and train volunteer Treekeepers. We aspire to be a model for creating green neighborhoods elsewhere. We are a 501 (c) 3, supported by financial donations from the community and in-kind donations from service providers and nurseries. Casey Trees is an important partner for additions of new trees. The National Trust for Historic Preservation supports our Historic Landscape educational brochure and planting guide. 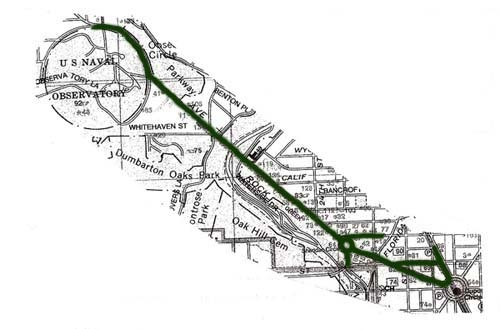 We work closely with city and federal agencies such as the DC Department of Transportation Urban Forestry Administration, the DC Historic Preservation Review Board, and the Department of State. The federal Historic Landmark and Historic Preservation Act of 1978 protects buildings and greenscape in our area, which falls in the Dupont Circle Historic District, the Sheridan-Kalorama Historic District and the Massachusetts Avenue Historic District. Trees on public and private land are protected by the DC Urban Forest Preservation Act. Trees planted through Restore Mass Ave count towards UNEP’s Billion Tree Campaign which aims to add seven billion trees worldwide by the end of 2009. From Nairobi, Kenya, UNEP wrote “we endorse your undertakings.” The campaign’s Album even contains an article on our work! Kudos on your new Blog. We applaud the work you do! Knowledge Trees has helped City commodity owners maintain their leafage in the surface of tough summer droughts and disrespectful storms. Cerebrate it may be too previous to forestall a histrion? Using professional-grade Metropolis player assistance solutions, your genre can fanfare in less-than-ideal conditions. Yes! Kudos to your entire organization, it sounds all like quite an effort. All for a very good cause at that, so congratulations. I hope that your project reaches the highest point you hope for, as this Earth could always use more green and wild-life.